The Diocese of Clogher, as it is currently known was defined after the Synod of Rathbreasail in the year 1111, and today its geographical boundaries remain almost unchanged. It occupies most of Co. Fermanagh, Co. Monaghan and a small area of south-east Tyrone. Within the present diocesan boundaries there are six rural deaneries, Clogher, Clones, Enniskillen, Kesh, Monaghan and Kilskerry, which together currently have 32 parish/groupings. The present number of parishes/incumbencies reflects the decline of the rural population in Clogher and changes that have come about in modern lifestyle, where people wish to live nearer to amenities and their place of work. The original Clogher Succession Lists published in 1929, were the work of the late Reverend James Blennerhassett Leslie M.A.M.I.R.A, Rector of Kilsharan and Treasurer of St Patricks Cathedral, Armagh. 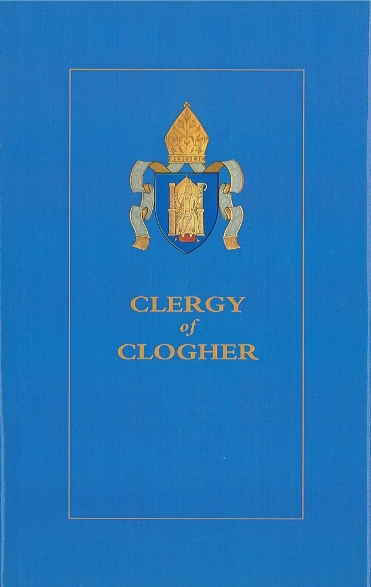 The Clergy of Clogher contains a facsimile reproduction of Leslie's Succession Lists up to 1928 along with updated Succession Lists to 2006, photographs of churches, portraits of Prelates and Bishops and other items of interest, Having sought the approval of the Clogher Diocesian Council and Finance Committee, the present publication was a result of an inititive taken by the Diocesan Secretary, the very Rev. Thomas Robert Moorein 1993 and the rekindled interest of the Rev. Canon David Crooks in 2002, who in his own inimitable way helped to advance the project to fruition. Others who gave support and helpful advice were the very Rev. W.N.C. Barr, Mrs Florence Barr the Rev. Canon W.E.C. Fleming, the Rev. Canon G. N. Little and Mr Fred Rankin. This volume should prove to be an invaluable source of interest to those who seek to know more about the history and heritage of the Church of Ireland in Clogher, and also a reference for students of ecclesiastical, local and family history. Clergy of Derry and Raphoe, 1999; Clergy of Clogher, 2006 (with Tom Moore); Clergy of Kilmore, Elphin and Ardagh, 2008; Clergy of Tuam, Killala and Achonry, 2008; Clergy of Killaloe, Kilfenora, Clonfert and Kilmacduagh, 2010; and Clergy of Cashel and Emly, and Leighlin, 2012 (with Iain Knox).